Africa’s overall elephant population has seen the worst declines in 25 years, mainly due to poaching — according to IUCN’s African Elephant Status Report launched at the 17th meeting of the Conference of the Parties to CITES, taking place in Johannesburg, South Africa. It presents more than 275 new or updated estimates for individual elephant populations across Africa, with over 180 of these arising from systematic surveys. The report summarizes — for the first time in almost a decade — elephant numbers at the continental, regional and national levels, and examines changes in population estimates at the site level. Based on population estimates from a wide range of sources — including aerial surveys and elephant dung counts — the estimates for 2015 are 93,000 lower than in 2006. However, this figure includes 18,000 from previously uncounted populations. Therefore, the real decline from estimates is considered to be closer to 111,000. The continental total is now thought to be about 415,000 elephants, although there may be an additional 117,000 to 135,000 elephants in areas not systematically surveyed. The surge in poaching for ivory that began approximately a decade ago — the worst that Africa has experienced since the 1970s and 1980s — has been the main driver of the decline, while habitat loss poses an increasingly serious, long-term threat to the species, according to the report. With over 70% of the estimated African elephants, Southern Africa has by far the largest number of the species — approximately 293,000 elephants in systematically surveyed areas. Eastern Africa holds about 86,000 (20%) estimated elephants, while Central Africa has about 24,000 estimated elephants (6%). West Africa continues to hold the smallest regional population with approximately 11,000 (under 3%). Eastern Africa — the region most affected by poaching — has experienced an almost 50% elephant population reduction, largely attributed to an over 60% decline in Tanzania’s elephant population. Although some sites have recorded declines, elephant numbers have been stable or increasing since 2006 in Uganda, Kenya, and Rwanda, and range expansion has been reported in Kenya. While poaching has not had the same impact in Southern Africa as in other areas, the region is now also facing the emergence of a growing poaching threat. 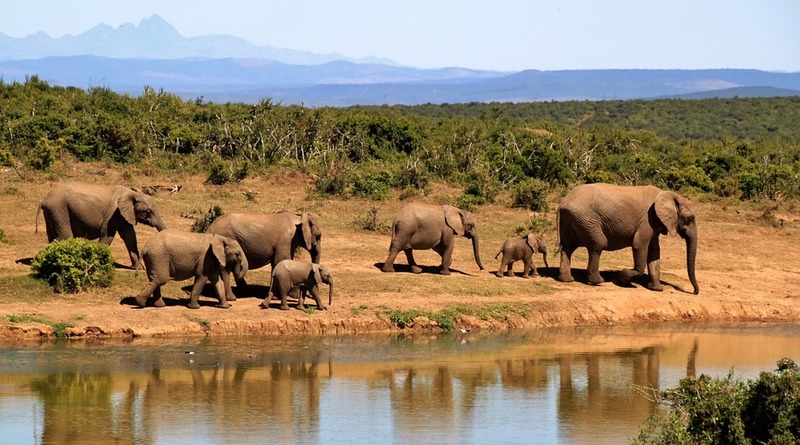 Population declines have been observed in Mozambique and some areas in Zimbabwe, while major populations in Namibia, South Africa and Zimbabwe are stable or increasing, and there is evidence of elephant range expansion in Botswana. There is still uncertainty about the size of the KAZA trans-frontier elephant population — the single largest on the continent — and it remains critical to undertake a coordinated survey of this population.